Can you identify the house in this picture? 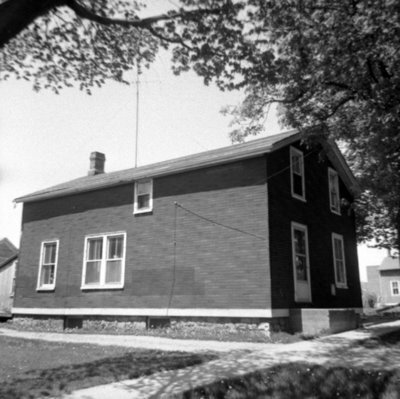 A black and white photograph of an identified house. The view is from the left side of the house. 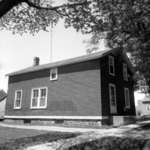 The unidentified house was located at the end of Brock Street South on the west side. The house was demolished is 1974. Unidentified House Brock Street South, May 23, 1969, Brian Winter. Whitby Archives A2013_004_051.